The team at Dispute Resolution Associates has collectively served 50 years on the Court of Queen's Bench, with an expertise in Judicial Dispute Resolution. 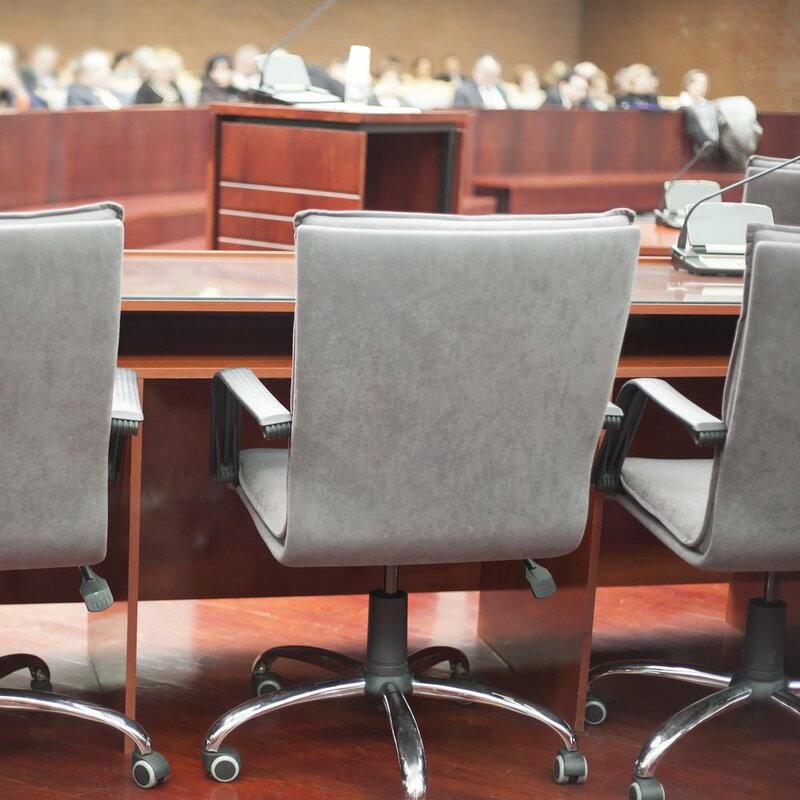 Since retiring, they are able to offer the same Dispute Resolution Settlement Meetings that provide an experienced justice's perspective and guidance before going to trial. These meetings allow a former Justice of the Court of Queen's Bench to highlight the strengths and weaknesses for each sides case, as well as give a neutral evaluation of the probable outcomes at trial. ENSURE THE COMFORT AND CONFIDENCE OF EACH WITNESS WITH THE HELP OF OUR TEAM OF FORMER JUSTICES. LET OUR YEARS OF EXPERIENCE IN THE JUDICIAL SYSTEM GUIDE YOUR TEAM TOWARDS A WINNING STRATEGY. INCREASE THE VALUE OF YOUR COMPANY THROUGH A STRONG EXTERNAL BRAND. Bonnie L. Rawlins has served 28 dedicated years of judicial service to the Court of Queen's Bench, and to the people of Alberta. Bonnie's high achievements in education are exemplified through her BA from Wilfred Laurier, BEd from the University of Toronto, and a BA (Honours) from York University. Finally, Bonnie completed her fourth and final degree in Law, at Osgoode Hall in 1976, where she was also named Female Athlete of the Year. At age 34, Bonnie moved to Calgary and became the first female partner at MacKimmie Matthews law firm. Throughout the years, Bonnie's contributions to law reform have been extensive; she published several papers on estate and dependent adult law, and assisted the government in the drafting of the Dependent Adults Act. Bonnie played an instrumental role in introducing Judicial Dispute Resolution at the Queen's Bench in 1992, and was the most experienced Justice on the Court in this area on her retirement. She also received her mediation training at Harvard University, and subsequently at The Centre for Dispute Resolution in Washington, DC. Bonnie served 21 years on the Board of Directors of the Alberta Law Reform Institute, which is responsible for generating numerous reports to the Government of Alberta that either forms the basis to improve existing legislation, or to provide new legislation to enhance the legal systems for all Albertans. Besides law, Bonnie's interests also extend to everything from golfing (winning record breaking awards), to gourmet cooking, skiing, tennis and squash. Sal J. LoVecchio has served 22 dedicated years of judicial service to the Court of Queen's Bench, and to the people of Alberta. Sal was born in Toronto, but later moved to Montreal to pursue his Bachelor of Commerce at McGill University. Shortly after, he completed his Bachelor of Civil Law in 1970. Given Sal's high academic standing and skill-set in sports, he was also a member of McGill's Scarlet Key Honour Society, as well as a record-holding player on the University's football team. Sal's expertise are in commercial and corporate law, and he has been named partner at multiple law firms such as Borden Ladner Gervais, and Bennett Jones. He also served as chair of the Judicial Dispute Resolution and the commercial committee of the court for several years. Sal's contributions to the community are extensive; he co-authored several articles such as "Foreign Investment Considerations for Mexico, Russia and China", served as a lecturer at the University of Calgary Law School, served as member of the Cabinet of the United Way, was Director of West Island College, Director of Alberta Children's Hospital, and countless more. Aside from his passion for Law, Sal is an excellent skier, avid golfer, squash player, world traveller and first-rate photographer. Please use the Contact form below if you cannot find a suitable date on our schedule. When booking a date, the duration of the appointment will vary based on each circumstance. 1. The Dispute Resolution Settlement Meetings are for parties represented by counsel, and it is counsel that are retaining us. 2. A pre-dispute resolution discussion may be booked beforehand if desired by counsel. 3. Materials may be submitted in a staggered fashion, but must be received at least 14 days before your Dispute Resolution Settlement Meeting. 4. A booking deposit of $1,500 must be paid within 7 calendar days of booking, to secure your date. E-transfers or firm cheques are accepted, payable to Dispute Resolution Associates. Please include a cover letter setting out the date of the meeting, and the name of the party submitting it. 5. Booking deposit is non-refundable if cancelled within 60 days of appointment start date. Refunds are accepted if the matter is adjourned within the 60 days. 6. This form must be filled out by legal counsel representing the party. Please contact us if you are unable to coordinate with an available date shown above, or if there is a particular aspect of your dispute that you would like to discuss.